Everything about this song could best be described by a single word - groovy. The vocal and instrumental rhythms have you wanting to bob your head along at almost every point and it's simply fantastic. Hyorin's feature was pretty great and her voice provided a delightful contrast to GOT7's. They utilized her vocals in multiple facets, which I personally believe is the way a featured artist should be used. All in all, this is a great introduction to the album and it helps to set your expectations pretty high. If you haven't checked out my full thoughts on "Look" already, you can see my review here. If you want the TL;DR of it, I thought that this was a very catchy and enjoyable title track. "The Reason" instantly sets itself apart from the prior two tracks with its more serious, sober atmosphere. The pre-chorus and chorus feature some gorgeous uses of falsetto that inject emotional pull and add to the gravity of the song. The faint guitar of the first verse slips and fades beneath the churning synth notes in such a subtle manner that I found really beautiful, and I absolutely loved the drum pattern shifts from one section to another. The sound of guns cocking every now and again was my only issue with the song, but the overall weightiness had me marking this one as my favorite on the album. Similarly to "The Reason," this song once more pulls the album into a slightly different step. It's a lighter tone overall than the songs that precede it, and more than anything else, it helps to break up the more cumbersome bulkiness of the album. This song was well-produced and felt cohesive with everything else still, but for me personally I just didn't dig it that much. Everything about it was good, but nothing about it particularly jumped out as excellent, and that helped me nail this track down as my least favorite on the album. This song pulls us back to a style that's more similar to the first few tracks, though I'd say it's a healthy blend of every other song more than anything. The airy synth chords played well with the floaty guitar strokes, and the instrumentals, while being interesting, generally played more of a buried role that simply helped the vocals and never threatened to take the spotlight. There's a good set of raps to break up the pace and stop it from getting too monotonous, and the way that they're scattered throughout was great. This is probably the closest thing to a ballad on the album, though it's moreso because of the emotional distress in the vocals and lyrics rather than it being slow. 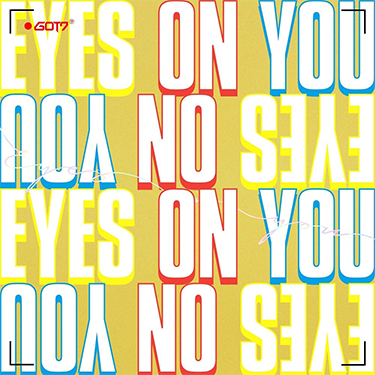 The lyrics cut very deep for fans of the group, referencing past incidents with flowery language and bringing an even more crushing impact than the vocal deliveries and instrumentals already incur. Seriously, if you haven't read a translation and/or explanation, I recommend you do, it adds a lot more meaning to the song. In its entirety, this song is mournfully beautiful, and its melancholy character sets it firmly apart from the others on the album. For a short mini-album, there's a great variety of styles and sounds presented in a pleasing array. There's so much love and dedication clearly poured into this album, and it's evident within every song. They even went so far as to make the album last 20:20, a fantastically subtle touch that really adds to it on a conceptual level. It's a solid display of what makes GOT7 so appealing for many fans across the world, and if you've never had the opportunity to explore the group, I think this is a perfect diving board to start with.